I'm so excited I can hardly stand it...! 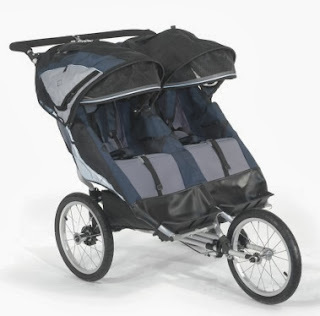 After months and months of searching and having second thoughts and then searching some more, we've finally discovered a double jogging stroller that we LOVE - and I think we're going to take it! If you're a young South African running mom, you'll know that a good (single) running stroller is super hard to find in our neck of the woods. But if you think that's hard, you should try finding a double! I started searching for a good double jogging stroller soon after we learnt that I was pregnant with J (I did the same for K - for a single stroller - with the result that I now associate jogging stroller research with severe morning sickness, ha! ), but it soon became apparent that we were going to have to go the second hand route. Brand new (good quality) double jogging strollers are simply impossible to find in South Africa. Sure, you can import one for an arm and a leg, but we decided to rather go the used stroller route. For a while after learning to walk, K wanted nothing to do with her single stroller. She wanted to get out there and move by herself! It appears that that was just a phase, though, because she's back to loving the stroller and loving our early morning walks - yay! I have zero illusions about the potential challenges of running with a toddler and an infant. At once. Not physical challenges, that is - logistical ones. Why yes, I do see sidewalk feedings, hair pulling and regularly interrupted runs in my near future. I also have no illusions about the impractical bulkiness of a double stroller with 16'' wheels and realise very well that it will be used for running and running only. On the other hand I also know that a double stroller may be one of my only options for getting back to serious training after J's birth. Being married to a (equally serious!) cyclist means that both of us love training over weekends, so leaving the kids with Dad while I go for a run simply isn't always an option - he'll be on the road himself. Can't wait to build some more! 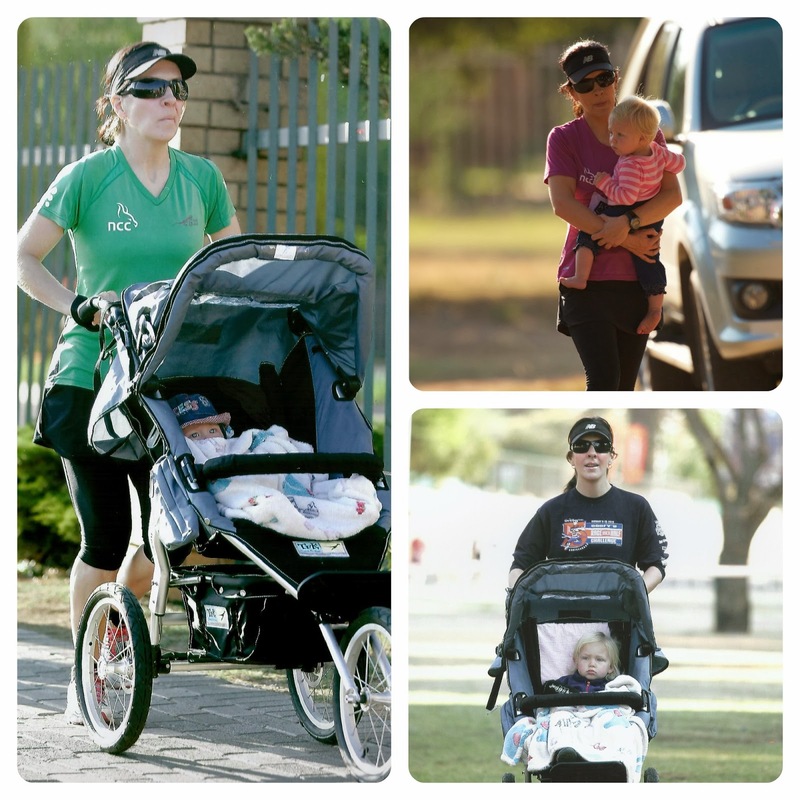 Do/have you run with a double stroller? Any logistical tips for this mama?? So glad you managed to find one. I can attest to singles being hard to find - I would hate to be looking for a double. I used one for a while. I usually would load them up right around my youngest naptime and head out for a run, she would usually sleep and I brought lots of snacks and toys for the older kid. If they started crying for no reason and I was close to home I just kept running, they soon learned to sit in it really good! Thanks, Christy - I'll definitely make a note of that! Glad you found a good one! That will be hard but good training. Thanks, Johann! I think each run with the double stroller will definitely be a good upper body workout too :) . Glad you have found a good stroller. I remember during a race in Scotland, a mom with a stroller smoked me at a Parkrun. My finishing time was 23:13 (5 km) and she was faster than me. Wow - that mom was flying! !